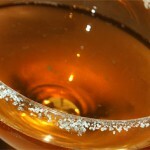 Ritz, Cointreau, Cognac, maraschino – от этих слов согреется сердце коктейльного энтузиаста, это синонимы коктейльной роскоши, основы коктейльной традиции. 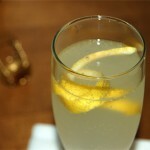 Ritz Cocktail was invented by Dale Degroff, and this fact is the only thing I knew about it when I enjoyed the cocktail for the first time. That was enough to awake my interest. A list of the cocktail’s ingredients looked so luxurious, it was pure temptation. Since that time I have no intention to look for more information about Ritz Cocktail. It’s one of my favourite cocktails with sparkling wine and that’s all I need to know about it. 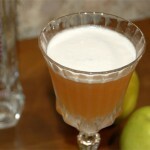 The recipe appears like having some resemblances to Sidecar cocktail. Also Ritz Cocktail has similar noble and fine taste as well as Sidecar. I have no idea whether there is accidental likeness or not but definitely that’s an advantage in my opinion. Cognac and Cointreau, this duo form Ritz Cocktail taste. Small quantity of maraschino and lemon juice plays second fiddle bringing complexity to the background and to the aftertaste. 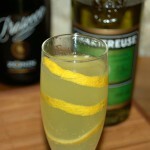 Champagne is a real trickster here as it can change a lot in the cocktail taste. Unfortunately Champagne is too expensive in Russia so I’ve used Italian prosecco instead. 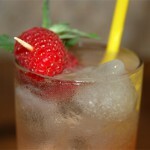 In mixing glass, stir with ice all the ingredients except sparkling wine. 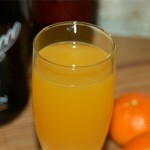 Strain into cocktail glass, top with Champagne or prosecco. Garnish with flamed orange peel. Here I prefer to substitute lemon zest spiral for suggested flamed orange peel as a garnish. For my taste, lemon zest looks more interesting here and brings additional freshness to the aroma. The cocktail starts with sweet winy flavour but later it transforms into full-bodied fruity Cognac-influenced taste with sweet orange note. Light floral hint of maraschino and prosecco adds some freshness, mainly on the background and further it develops in complex aftertaste in combination with Cognac dry wood note. That was original Dale Degroff’s version. 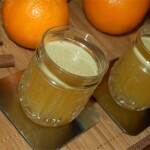 Also I’ve saw some variations – with orange juice, without Cointreau. They were much worse than original Ritz Cocktail. The only version I love and rate as good as original one is a cocktail I’ve found at The Intoxicologist. 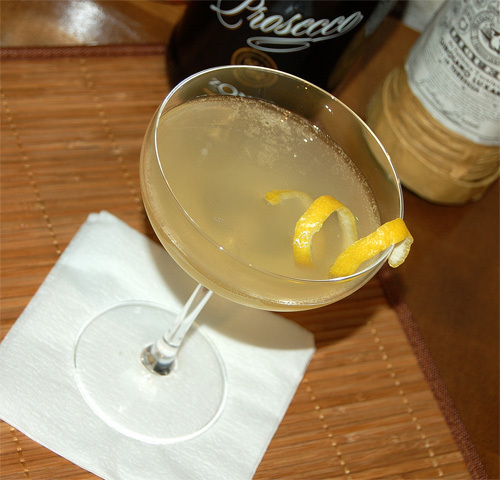 This version of the cocktail is appreciably lighter and smoother than original one. 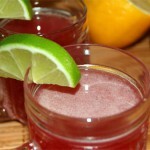 In my opinion, the cause is in increased amounts of lemon juice and maraschino liqueur. It masks partially Cognac wood and earthy flavours and gives fruity and herbal notes an edge. Thus Ritz Cocktail has become a light bubbly drink with tasty grape and floral background, sour and sweet on the palate and a bit dry in the end.